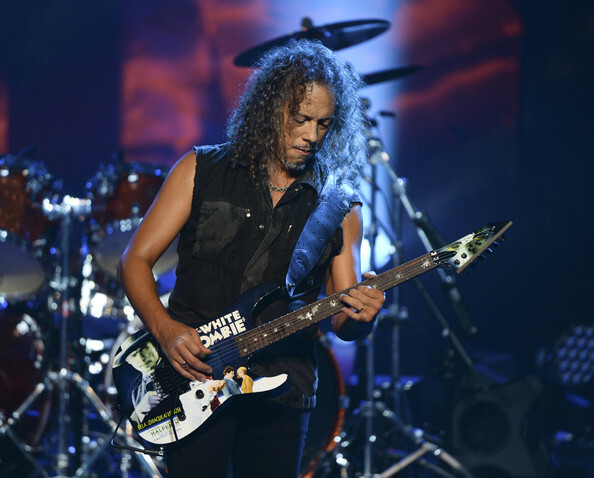 Metallica guitarist, Kirk Hammett was in Dallas ‘promoting’ the band’s latest film, “Through the Never” at AMC North Park (27 Sept. 2013). Shot on the ‘Super8’ app. In all honesty, I can’t tell if he was drunk or stoned here. In any case, here is the short footage we caught of him. Enjoy. This entry was posted on Friday, October 4th, 2013 at 9:57 am	and is filed under Film, Music, News. You can follow any responses to this entry through the RSS 2.0 feed. You can skip to the end and leave a response. Pinging is currently not allowed. « Film Review: ‘Metallica Through The Never’!! !